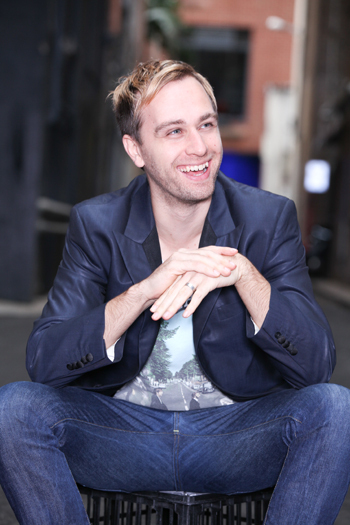 Born inSydney, Fred Schebesta is an internet entrepreneur whose latest venture, Finder.com.au, aspires to shake up the online comparison industry inAustralia. Fred was inspired to enter the financial comparison space when he realised the need for Australians to compare financial products and switch, in order to save money and avoid traps. NC: Can you tell us a few words about Finder.com.au? Frank and I found that comparing financial products out there was too overwhelming and that Australian consumers could be paying more than they should. Finder.com.au provides a one-stop comparison service for various financial products such as credit cards, personal loans, home loans, saving accounts, life insurance and is now expanding into mobile phones and broadband. Our point of difference in the market is that each site specialises in its own niche. We provide step-by-step resources to research, compare and apply for products. Our sites offer unique comparisons for credit cards, home loans, savings accounts, personal loans, life insurance, broadband and forex trading, and our newest one compares mobile phones. We offer calculator tools and guides to help users through their comparison process. NC: Did you put in more or fewer hours than you had anticipated? I would put in more, but unfortunately I have to sleep. I try and not sleep but I get a bit tired after a few weeks! I love our office; we have created a neat little paradise and are planning on building another soon too. Perhaps we should eventually move to Silicon Hills? It will be bigger, better and help out and save consumers more. We will have more niches operating and helping more and more Australians every day. It’s a lot of work building a niche so we are going to need a few more people to help us achieve that. I think we will have a group of A-players all striving to create the best comparison service for Australians. NC: What advice would you give another person who wants to start an online business? $1 – Just try and make $1 of profit. I am talking $1 in your bank account after you have been paid, you have paid all of your expenses, you have paid your tax and the $1 of profit left over is in your account. Just focus on that and do it in a small-scale manner first, then don’t be smart, just try and make $2 and repeat. NC: Tell me how you first got involved in the digital space? I was building sites while I was still studying at university so I grew up with this stuff. I just took to the internet naturally as I had played with computers as a kid and I am quite creative and love visual technology. I loved special maths at uni and I am pretty good with reverse-engineering things and figuring out how to do something that I don’t know how to do. That was a recipe for internet 101, but then I learnt a lot of marketing from Michael Kiely and I spliced that onto the internet and got 100% into internet marketing. NC: What do you find most challenging about this industry? Not building sites fast enough, processes and systems development and finding talented staff to join our badass crew. NC: What’s the best/worst thing to happen since you started working in the online space? The best thing is more people are going online! There are more people for us to help coming online and comparing products. Comparison as an idea is growing. The worst thing is that Internet Explorer is still dominant and causes us so many pains in our development and the display of our sites. However with a lot of the newer CSS techniques you can get around some of the problems. NC: Tell me about someone who has influenced your decision to work in this space? Jeff Bezos, he has made a monster online business. He persisted and innovated in consumer products even. That kind of scope has inspired me to build Finder.com.au into a monster business as there are so many opportunities there. Maybe we could even think of going into space at some stage!